"Thank you so much for the great music you played at our wedding. Everyone had a great time dancing and singing. They are still talking about it." 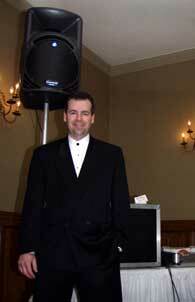 "Your DJ ... had an awesome personality and consulted with us throughout the reception. The dinner music was perfect, as was the music all night. When we look back at our video we can see the dance floor was packed the whole night."